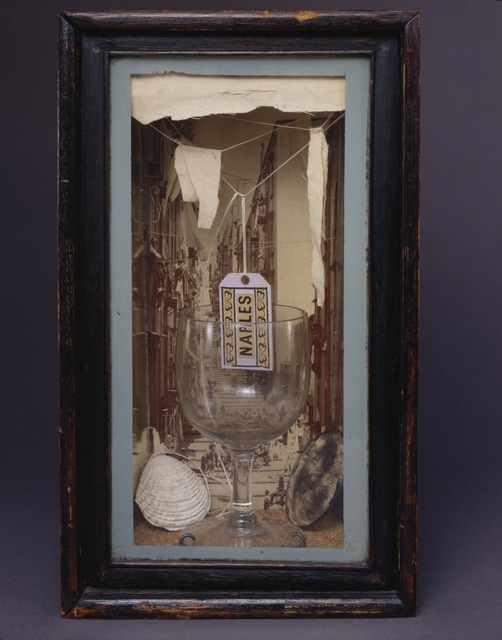 It's very fashionable in the current art world to put on a wunderkammer exhibition where an assortment of small objects and curiosities are displayed together, but Joseph Cornell was already creating this kind of work from the 1930s onwards. Now, around 80 of his works are on display at the Royal Academy in this exhibition. His surreal work stems purely from his imagination as he never travelled abroad — he barely ventured beyond New York City. 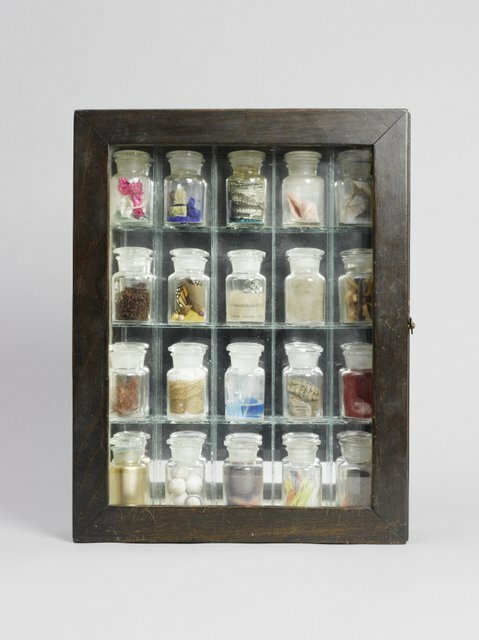 But this didn't stop his fascination with other countries and he collected memorabilia on subjects as diverse as Ludwig II of Bavaria to creating a pharmacy cabinet, long before Damien Hirst would create a sculpture in the same ilk. 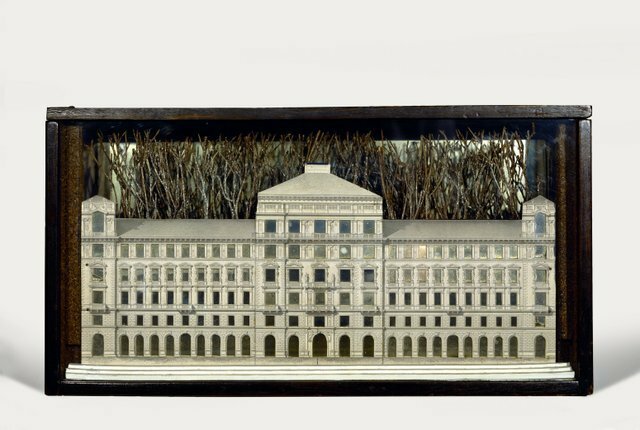 The collection includes a music box, an encyclopaedic tower made from words and even a surreal video that features a man fighting a kangaroo. 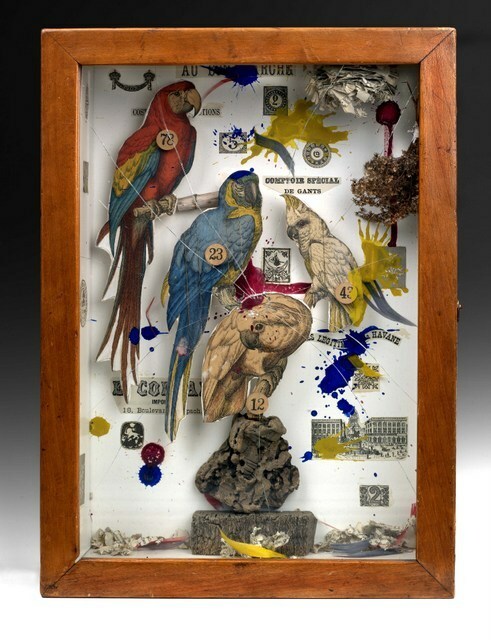 There are plenty of collages, many featuring cut-outs of exotic birds — his wanderlust can also be seen in a work featuring maps of stars and the sea and sky seen through a window behind a wire cage. Some of the wires have been peeled back to suggest a desire to go travelling even if he never realised this dream. 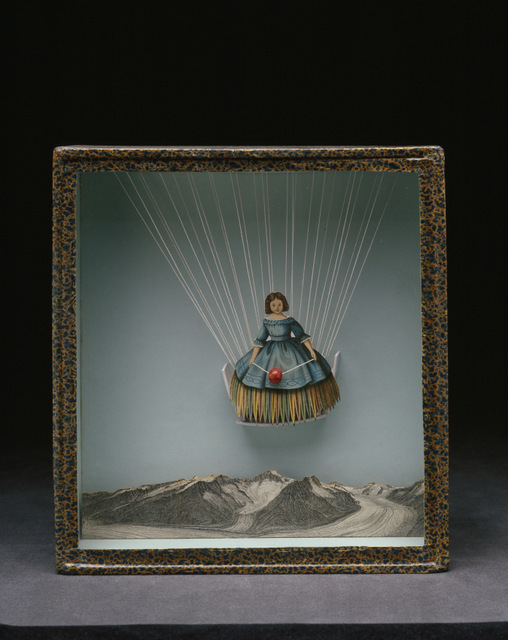 This show is a fascinating insight into a curious artist and his often bizarre collections and creations. They may not seem so bizarre compared to some artists working today, who have built upon his style and expanded it further, but in his time there wouldn't have been anyone creating work like Cornell's. The sterile white gallery walls aren't helpful here and creating a darker and closed in atmosphere would have suited these pieces better. This is an opportunity missed, yet it's still an interesting show with some fantastical works to explore. 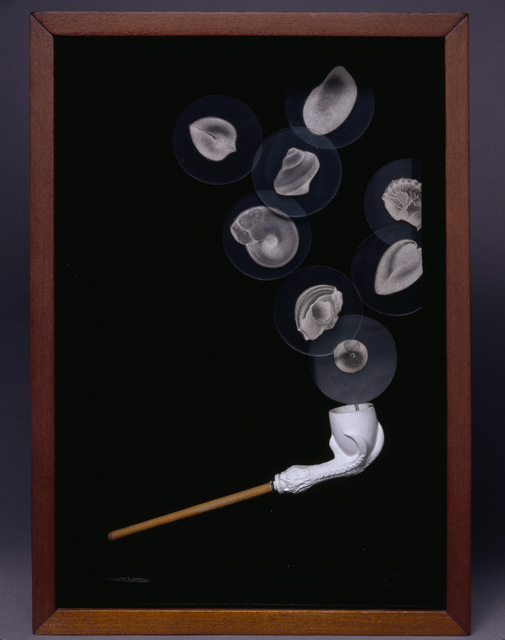 Joseph Cornell: Wanderlust is on at The Royal Academy of Arts until 27 September. Tickets are £11.50 for adults, concessions available. Also on at the Royal Academy is this year's excellent Summer Exhibition. For other curiosities see the Viktor Wynd museum and in other major openings see the sculptures of Hepworth at Tate Britain, the playful and popular Carsten Holler and an unsettling bomb site by Thomas Hirschhorn. This exhibition is also one of our top openings for July.